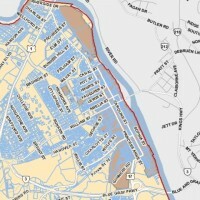 Fredericksburg, VA Local Historic District Analysis, Historic Fredericksburg Foundation, Inc. In response to several highly controversial decisions by the Architectural Review Board, as well as a resulting court case, the City of Fredericksburg, VA undertook a comprehensive analysis of their historic review ordinance, design guidelines, policies and procedures. The review was conducted by a City-appointed committee which included the Historic Fredericksburg Foundation, Inc. (HFFI). HFFI hired CPG to assist in their review of the existing policies, as well as analysis of other programs around the Commonwealth. CPG advised Historic Fredericksburg Foundation, Inc. and provided assistance to their staff and board in evaluating recommended improvements to the local historic review ordinance and procedures. Recommendations for improvement were made to HFFI regarding the City of Fredericksburg design guidelines, ordinance language, policies and procedures which were incorporated into the overall committee recommendations.